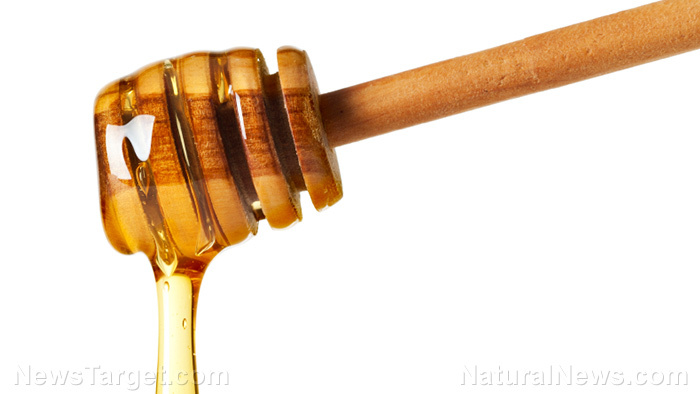 (Natural News) Honey has been used in medicine for well over 5,000 years. Now, researchers from United Arab Emirates University have found that honey from certain regions – particularly those that have arid climates – can be used to treat major chronic diseases, including cancer. The results of their study, published in BMC Complementary and Alternative Medicine, investigated the antioxidant and anti-inflammatory properties of arid region honey and compared it with popular varieties from non-arid regions using in vitro testing. For this study, researchers compared six varieties of honey: Four of these were grown in the Middle East, which is known to have dry, desert-like conditions, and two were from non-arid regions like Germany and New Zealand. To note, the following varieties were selected. All honey varieties underwent multiple tests in the study. In particular, researchers measured each variety’s ability to protect specific red blood cells, called erythrocytes, from destruction after being exposed to peroxide, as determined by MDA (malondialdehyde) levels after the test. Its immunomodulatory effect was also tested using a prostate cancer cell line, including PBMC (peripheral blood mononuclear cells). The team looked at IL-6 (interleukin 6) and NO (nitric oxide) levels in the cells after they had been incubated with honey overnight. The results showed that honey grown in arid regions had protected the erythrocyte membrane after exposure to oxidation. “Arid region honey showed a greater antioxidant effect than non-arid honey as shown by the prevention of oxidative damages to erythrocytes,” the researchers wrote. This was confirmed by a reduced level of MDA in arid region honey samples. In addition, the polyphenols found in arid region honey successfully lowered the expression of pro-inflammatory IL-6 markers in PBMC samples. This demonstrates the immunomodulatory effect of arid region honey in specific cancer cells. The benefits of honey don’t just stop with it being a potent antioxidant. Here are other benefits of adding honey to your diet. It can help lower blood pressure. The antioxidants present in honey have been lined to modest reductions in blood pressure in animal and human studies. It improves “good” cholesterol levels. Honey significantly raises high-density lipoprotein (or “good” cholesterol) levels in the body, while keeping bad cholesterol levels at bay. This reduces the risk of cardiovascular disease and stroke. It can lower triglycerides. Increased triglyceride levels are linked to heart disease and Type 2 diabetes. Honey can reduce the risk, especially if used to replace table sugar. It promotes wound healing. If used topically, honey can help treat burns, wounds, and other skin conditions. Learn more about the benefits of honey at Food.news.